Camp Promise is officially over at Big Sky and 99 junior campers are now everywhere. The goal of this blog is to give credit to the staff at BSBC for all of their hard work over the last two weeks. As Mr. T (ask any camper or Camp Promise camper who Mr. T is and they will tell you!) is fond of saying, “everyone likes to be called a servant until they are treated like one.” As followers of Christ, the title of “servant” is a noble title, something we aspire to. 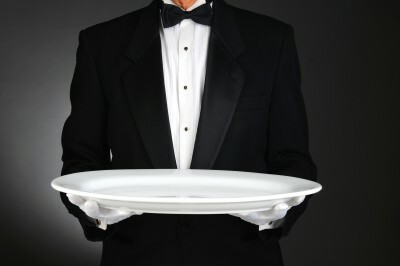 To the world, the term “servant” invokes a negative connotation, not a position to be desired. Whether the Big Sky staff was prepared for it, they were introduced to extreme servanthood over the last two weeks. Many staff had previous background with Camp Promise campers and knew what to expect. For those whom this was the first experience with special needs, I snickered to myself at the looks on their face, which remarkably resembled the deer I often see in my headlights at night. In my opinion, at some point in their lives, believers in Christ should serve in a setting such as Camp Promise. I believe this because it truly makes a person look outside of their own self. For an entire week, most of the staff during Camp Promise do not have the time, energy or desire to think about themselves because they are too busy taking care of their charge for the week. I consider it true servant-hood to care for people who cannot care for themselves. This is eye opening for most of the Big Sky staff. One of my roles here at Big Sky is to teach leadership sessions with the Leaders in Training (high schoolers that come and help at camp each week). One of those sessions focuses on the meaning of servanthood for a believer in Christ. A primary passage we examine is John 13, in which Jesus assumes the role of a servant and washes His disciple’s feet. Interestingly, not one of the disciples thinks of this or prepares for this regular custom. Instead, Jesus washes the dirt, feces and everything else off His followers and in the process teaches them a profound lesson about serving others. No feet washing went on at Big Sky over the last two weeks (although I highly recommend this for some of the staff), but there was plenty of servanthood. From being up all hours of the night with a restless camper to bathing to just pushing a wheelchair around for a week, the staff at Big Sky learned an invaluable lesson about serving others and, hopefully, about serving Christ. Being a servant is about putting your master or camper in this case before yourself. It is thinking about their needs, wants or desires above your own.